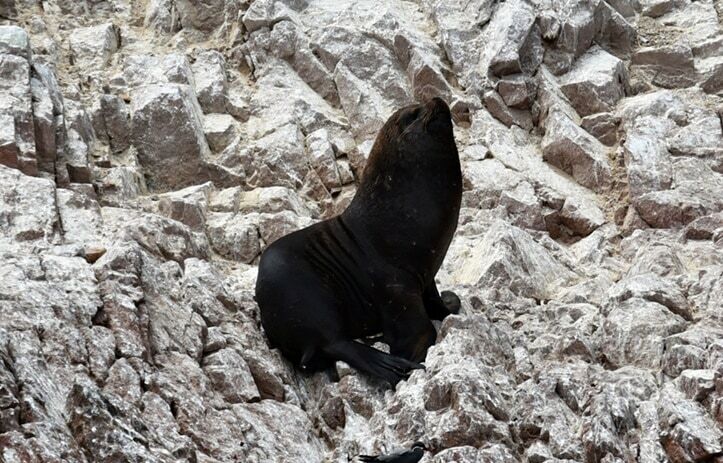 The Ballestas Islands are situated nearby to Paracas which is less than four hours by bus south of Lima. The main reason travellers choose to come to Paracas is to see the nearby Nazca Lines but some shorter half day excursions like the Ballestas are perfect to enhance your time in this region. The Ballestas are a nature reserve and home to large colonies of sea-lions, fur-lions, Humboldt penguins, guanay birds, terns and blue-footed boobies. The islands are a popular excursion from Paracas where boats leave typically with 30-40 passengers from visits to the islands. I chose something different for a recent visit with my family as I was staying at the luxury Hotel Paracas. 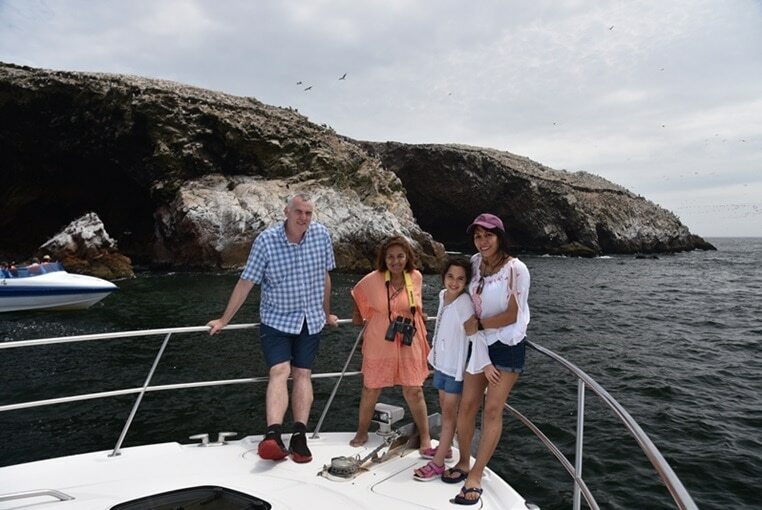 This visit with Totally Latin America from Paracas to Ballestas was aboard a private yacht, the only one available and licensed to do such tours at Ballestas. A mid- morning departure from the pier adjoining Hotel Paracas. Here, we meet our guide for the day Julio and don our life jackets to take the dinghy tender to reach the yacht moored a few hundred meters out in the bay. The first impressions of the yacht close at hand are that it is larger in scale than I had imagined, it’s 52 feet long. We are led inside into the main deck and the seating and fitments are beautifully appointed. Soon we are under way and are invited to see the upper deck to enjoy the views en-route. The upper deck is where our pilot for the day Gino is at the helm. I ask him about this beautiful vessel and am surprised to learn that is almost thirteen years old, its looks like new. He tells me this is a testament to the high quality of craftsmanship that goes into these Sea Ray American made yachts. 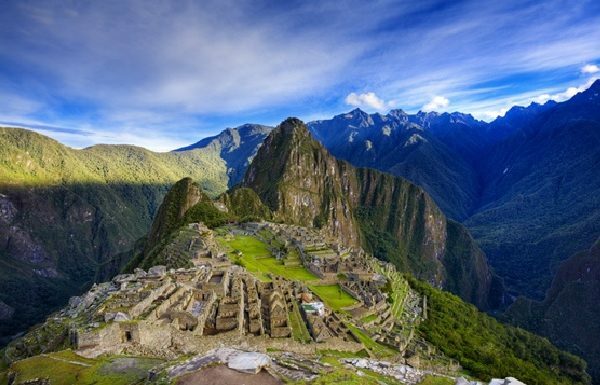 Totally Latin America luxury travel now offer this luxury yacht journey in Peru and I looked forward to enjoying it as something unique and rare in Peru. We can cruise at a steady pace, but this is a powerful boat with twin 600 horsepower engines should we need a quick getaway! My family and I are settling in well to this adventure and the best thing about this trip of how friendly and talkative the crew are; their enthusiasm abounds. This is what travel is all about in learning about new perspectives and new destinations from knowledgeable and open people. As we cruise out of the harbour, merchant ships abound the vista at a new port under construction and we learn that this is a developing port for the nearby mining industries of southern Peru. 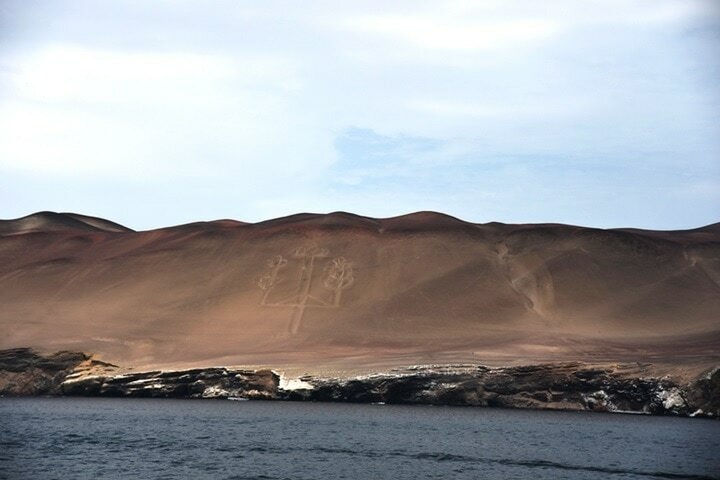 Further along the coast we pass the ancient geoglyph called El Candelabro. This impressive etching into the sand has a history lost in the eons of time for which we can only speculate its purpose. As we reach the main islands, we learn the fascinating story that the islands, as a part of the National Reserve, have one park ranger at all times on the islands. This ranger does shifts of one month at a time in a solitary existence much akin to lighthouse keepers of times gone by. The islands have the mark of man only in evidence from the guano (bird excrement) export business and its associated machinery which was a global trade dating back to the 1840’s. The bird droppings with high concentrations of nitrogen, phosphate, and potassium made a perfect natural fertilizer. The sea-lions and fur seals are in abundance as we get up close and personal to visit them along a host of bays where we learn from Julio and his insightful knowledge of their habitats. How the males fight for position with females at the beach and seek to oust their rivals from the natural selection process. We witness mother nature in action and the maternity beach too and the adorable baby seals. With the rather noisome guano wafts and the vast presence of wildlife in evidence the Ballestas are a surreal place like no other and the visits to all the coves give ample time for photography. 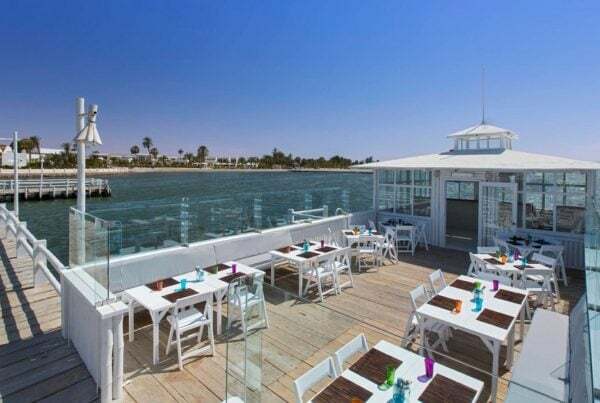 We chart a course back for Paracas and are served beverages on this warm summer’s day by jovial Julio and it’s amazing to catch the wind and enjoy the world floating by as we glide along the balmy waters. We take anchor at a small bay and notice a high presence of jelly fish so decline a swimming opportunity. Here the on-board chef below has prepared some fresh culinary delights for us to savour. 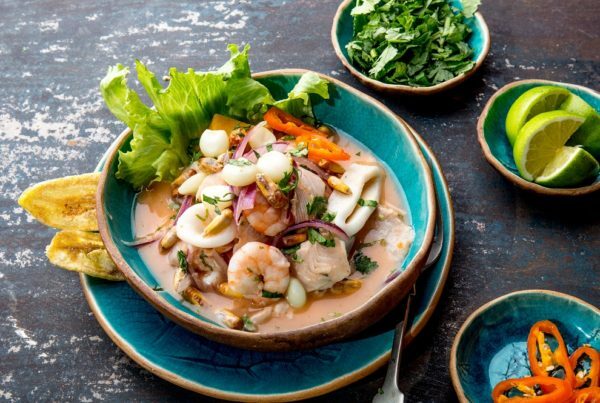 Fresh ceviche, the Peruvian national dish, causa of octopus, delicious desserts and chilled white wine or a beer a perfect accompaniment for a hot day in Paracas. In summary, is this luxury yacht in the Ballestas worth the trip? This is not a cheap morning’s outing and you can choose to take a trip for $40 with the multiple boats and join the crowds. This luxury yacht at the Ballestas however is an exclusive premium product and that rings true across all that is offered. The yacht itself is very luxurious, knowledgeable guides, the food top rate but best of all is that the crew genuinely enjoy what they do, and this effuses in how they take pride in showcasing their country through this wonderful experience. Smiles still go a long way in a world often devoid of human interaction and we felt totally at ease throughout this trip. 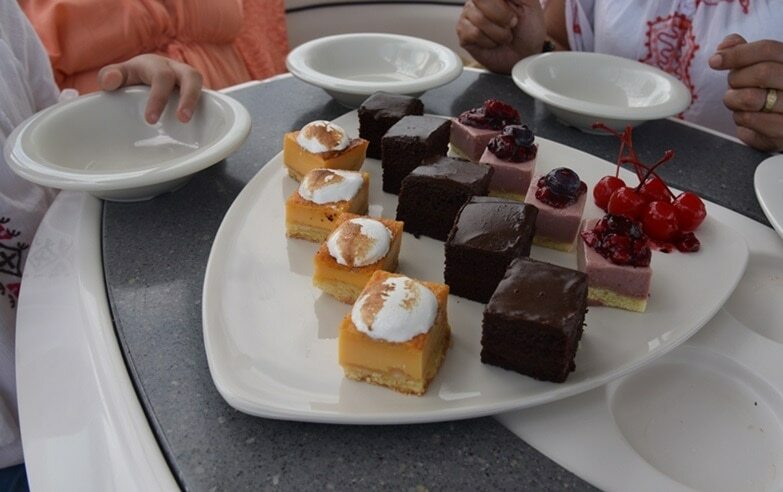 Nearing the end, the food experiences began at anchor in the bay and we never felt rushed and I loved the most…. the journey was ours. Contact your luxury Totally Latin America luxury Peru travel expert here for information on how to enjoy this truly unique experience.